It has been said that ‘kitchens are made to bring families together”. Perhaps this is truer today than ever before due to the fact that many families have both mom and dad working, trying to balance work and home life. Choose practical and safe flooring, cabinetry, countertops and appliances. If you have young busy children you may want to go with ‘soft’ non-slip flooring such for cork, linoleum, vinyl or wood rather than stone or ceramic tiling. Don’t use rugs as these present tripping or sliding danger. Ensure that your cabinetry is environmentally safe. Superior’s products are E1 rated, meaning all raw materials used have low levels of urea formaldehyde, a resin used in the manufacture of many products including, wood-based products. At high levels, this resin releases a gas that can irritate skin, eyes, nose and throat, and exposure over long periods is linked to certain forms of cancer. Handleless cabinetry draws and doors also make it challenging for inquisitive little ones to get into spaces they are not meant to. Superior offers the option to have their cabinetry fitted with an integrated aluminium channel that serves as a finger grip, eliminating the need for protruding obvious handles that can present a safety hazard for small children. Countertops must be easy-to keep clean and hygienic and rounded corners or corner protectors will prevent accidental head bumps. 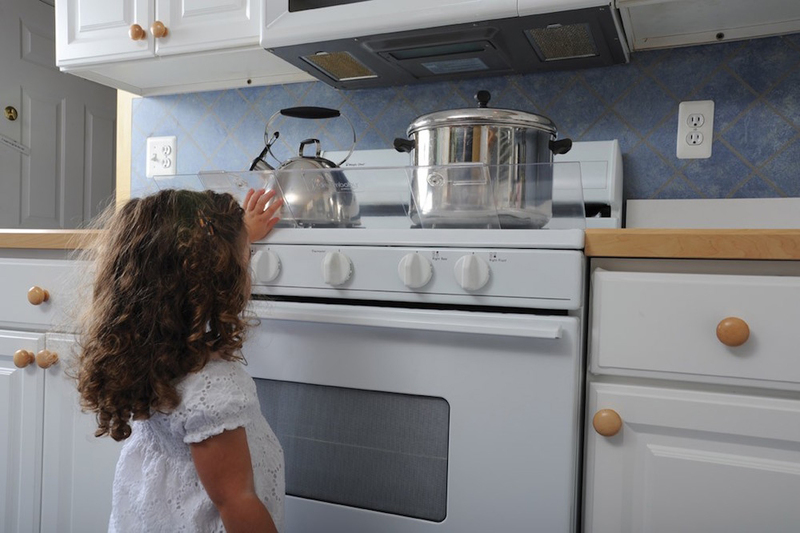 To really safeguard your kitchen use safety plugs, cabinet draw and door child-locks, cord shorteners and stove guards. 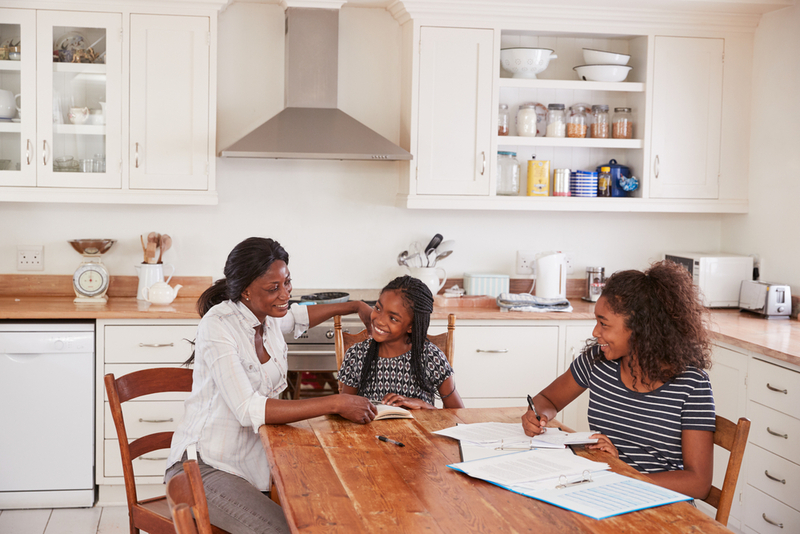 One of the greatest gifts parents can give their children is the knowledge and skills to prepare meals. Either create a child-zone in your kitchen or include some clever features that makes the kitchen easier for them to use. 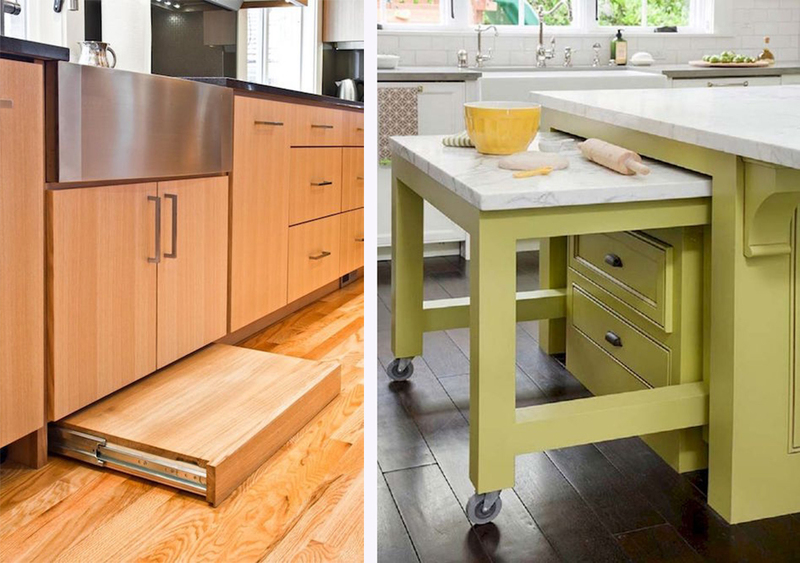 If you are building or renovating your kitchen consider including a slide-out step for children to stand on to enable them to comfortably reach and work on the standard-height countertops, alternatively include a slide-out working surface set to accommodate their height. If you have the space, create a dedicated homework station / desk in the kitchen or utilise your breakfast bar or kitchen eat-in space. This will allow children of any age to stay close to parents especially when homework or project help is needed. Any child-friendly space cannot be taken too seriously; it has to allow for a little mess and chaos every now and then; simply put – it has to have a sense of fun. 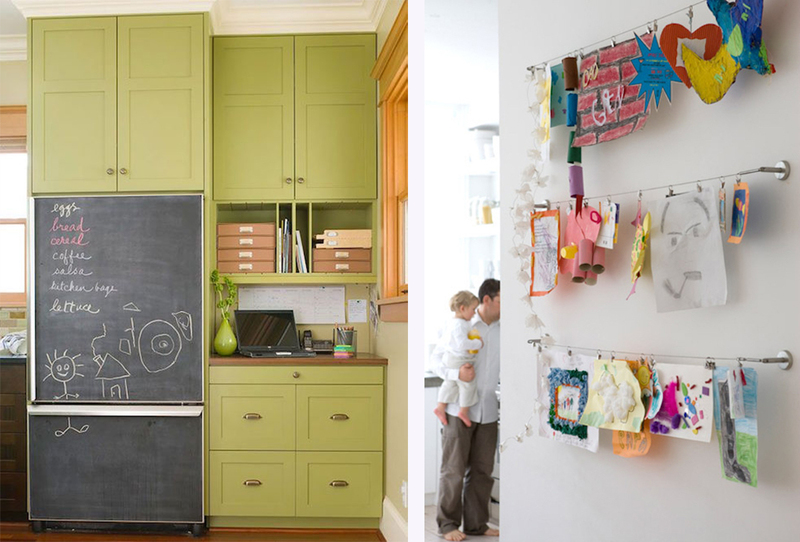 Choose some creative cabinetry finishes such as chalkboard paint to give children hours of artistic fun. Create a sense of play with some bright colours, unique accessories, homemade treasures, children’s artwork and let it be a place that celebrates children and family in every sense. Superior’s cabinetry is not only scratch resistant and hardwearing thanks to its maxi gloss and maxi coat finishing, it is also available in any custom colour including chalkboard!